On the weekend our little fam took a drive into Toronto for a birthday brunch for a very sweet little boy. 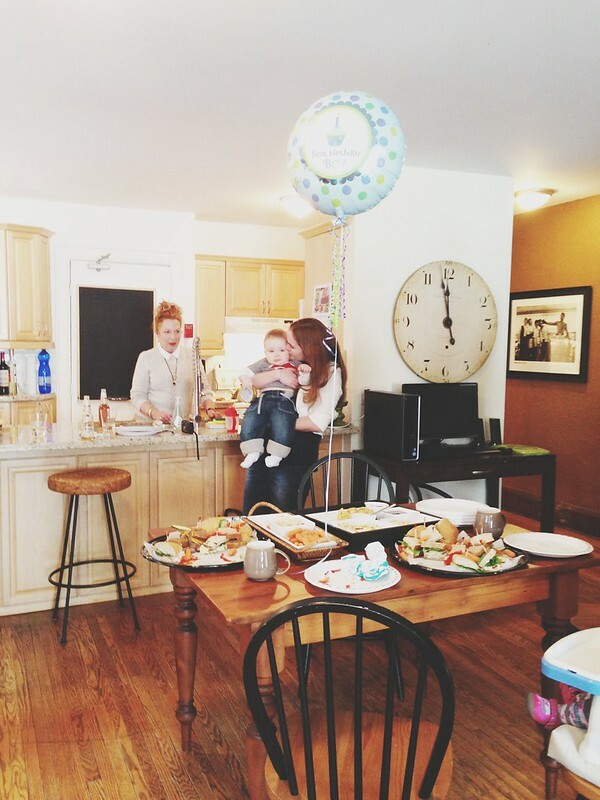 Our friends Corinne and Kris's son Jackson is one! My my time really does fly! 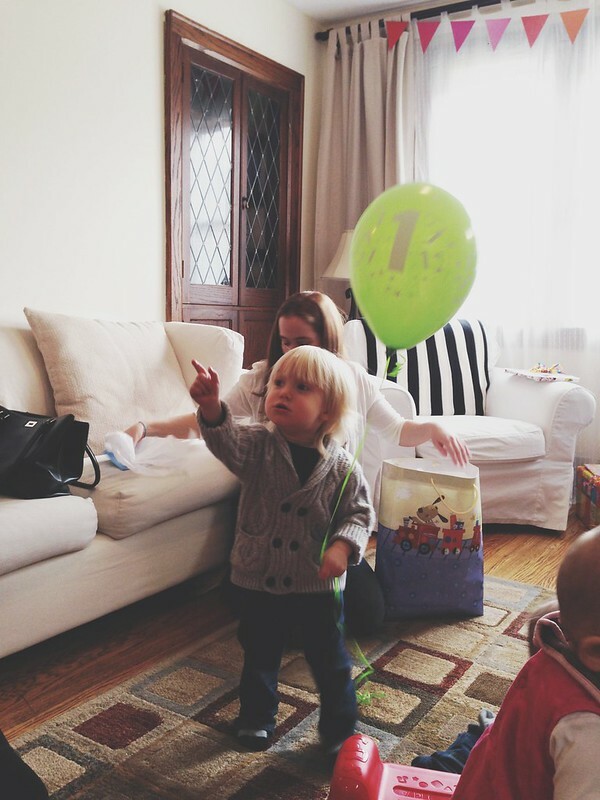 Benjamin seemed to really enjoy himself, even though he was extremely greedy about the balloons. 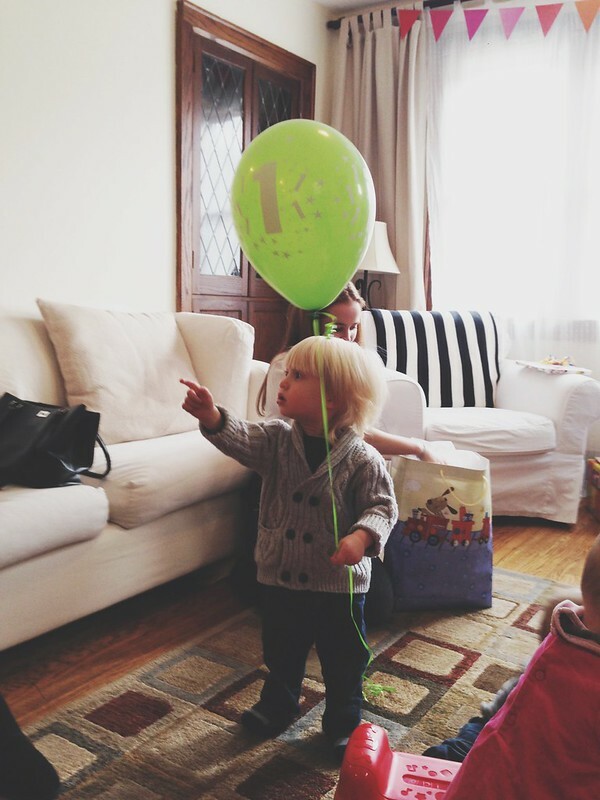 Seriously, this kid has to learn to share balloons, he is certain they all belong to him. See that cheeky face? Oh boy. As much as I like to think of my child as a perfect baby angel, I feel like I'm going to spend the better part of his second (third?) year apologizing for his behaviour and reading parenting books furiously. Greatttt. 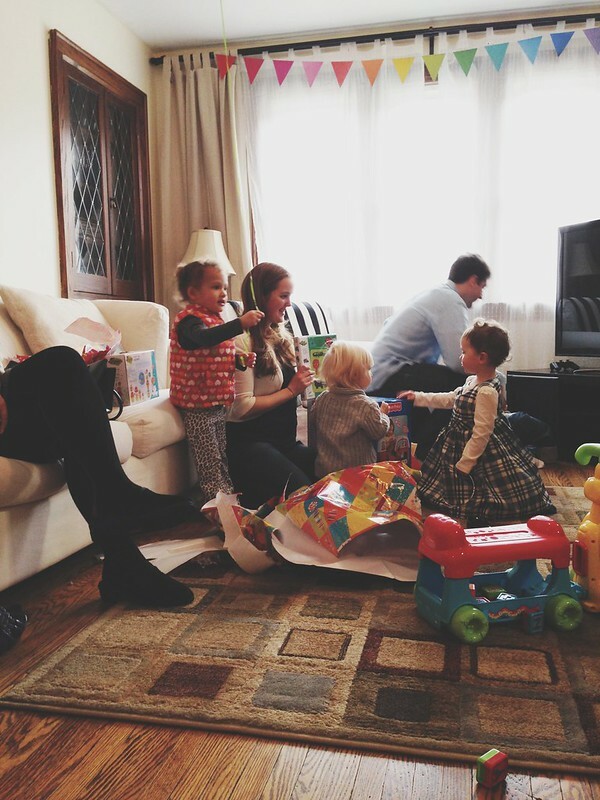 The party was really lovely and it was so nice to see Ben and Jackson and all the babies having fun together! Corinne and Kris showed everyone a really nice time, we love them so much! On our drive in to the city we also took a quick stop at the beach while Ben finished his nap, it was such a gorgeous day. 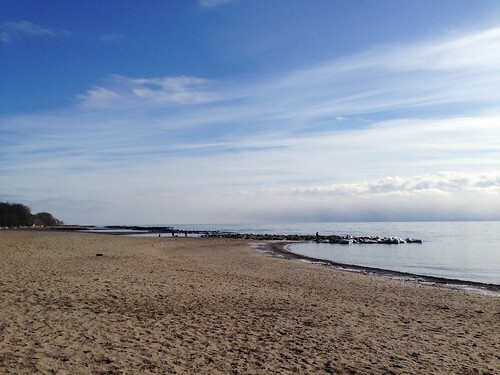 People who live near the water like this are so lucky! 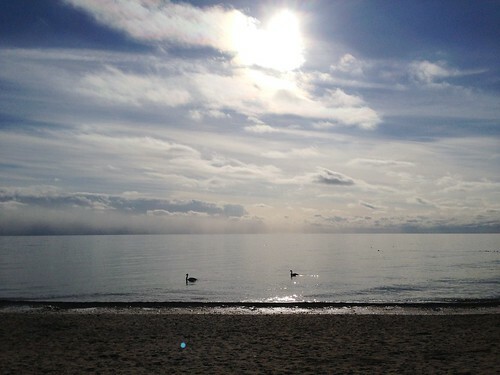 I spent the drive home trying to convince Billy unsuccessfully to move to the beaches.